We have Standard rotation and Counter Rotation Cobra Lower Sterndrive Units that will certainly meet and exceed your expectations; a high quality product at an unbeatable price. In the American market, we are the marine reference. We have the expertise to find you any product at the lowest price possible. To replace a Counter Rotation unit, use only Counter Rotation. Do not use standard rotation on a counter rotation unit. 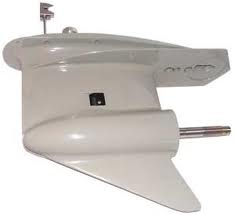 This is a replacement lower unit for a Mercruiser Sterndrive Alpha One Generation 1.